I’m going to try and make this a weekly thing. 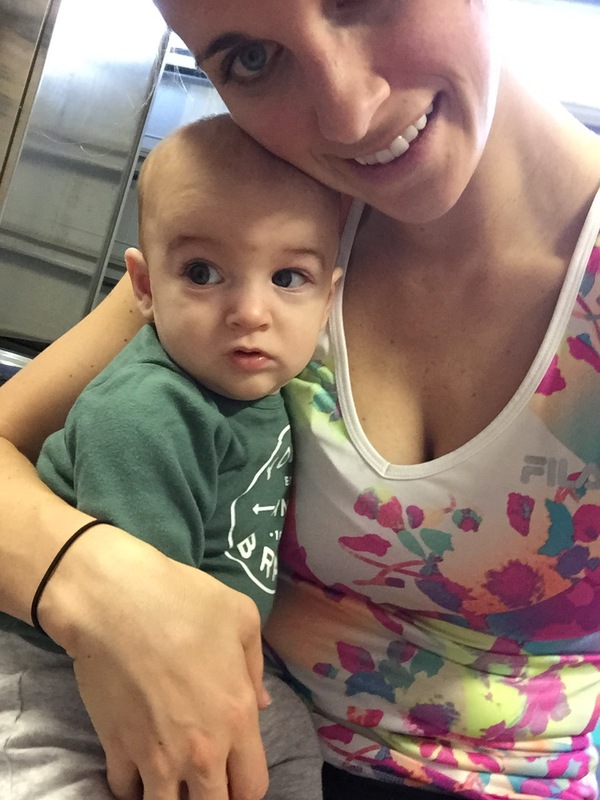 The main reason I started this blog was to document my training and this is going to be the best way for me to keep up with and look back on what I’ve done. Sun 11/8: After my half marathon I was sore. Walking up and down he stairs at my parents house was killer, and then sitting in the car for 3.5 hours the next day didn’t help. I foam rolled like crazy after the race but my legs still felt the pain. I got on my bike and cycled for 45 minutes once we got home to try and loosen them up. It helped slightly. Mom 11/9: nothing. Brett had his 4 month doctor visit with shots and then I had to go into work so my day got thrown off. Tues 11/10: Another 45 minute spin. Brice had dental work done that morning so I stayed home with him afterwards. He just wanted to hang out on the couch and watch movies. 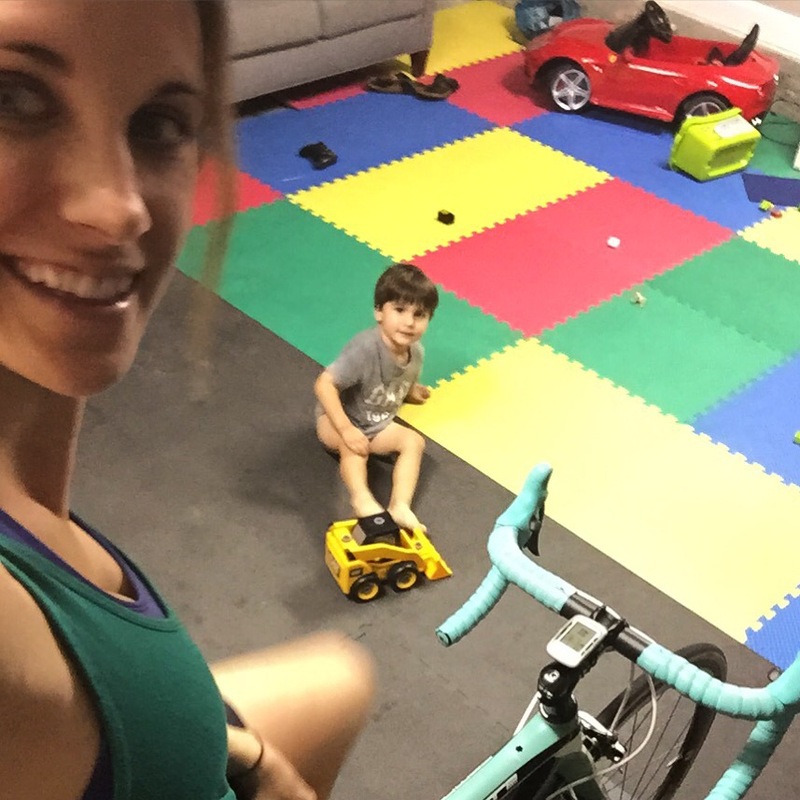 This is when having a couch and TV in your garage gym is super handy! 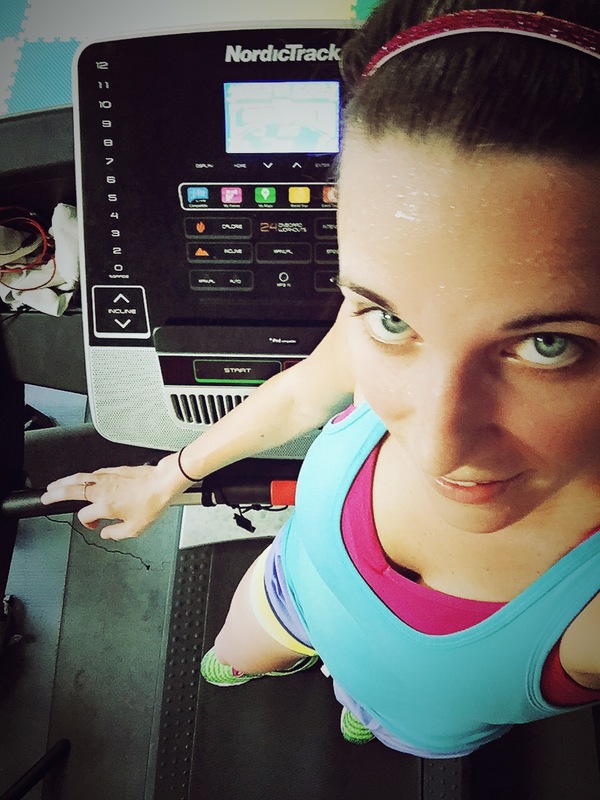 Fri 11/13: My legs finally felt back to normal so I decided to torture myself! I met up with some friends and we did a parking garage work out. 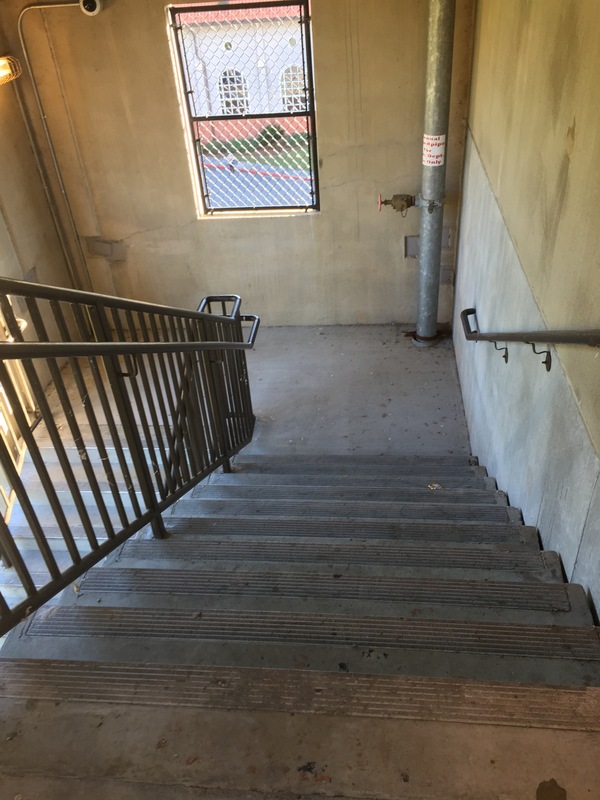 6 stories- each story has about 40 stairs. One round is: run up each step then come back down, run up every other step<– that burns!! then run back down, then head out the door and run up to the top level of the parking deck. I did 3 rounds. The stair part is just over .25 miles then the run is about .4 miles. So in 3 rounds I did 2 miles, and that was the hardest two miles is done in a very long time!! Sun 11/15: We went out of town for the weekend so when we got home, we got both of the boys down for a nap and had a day date!! 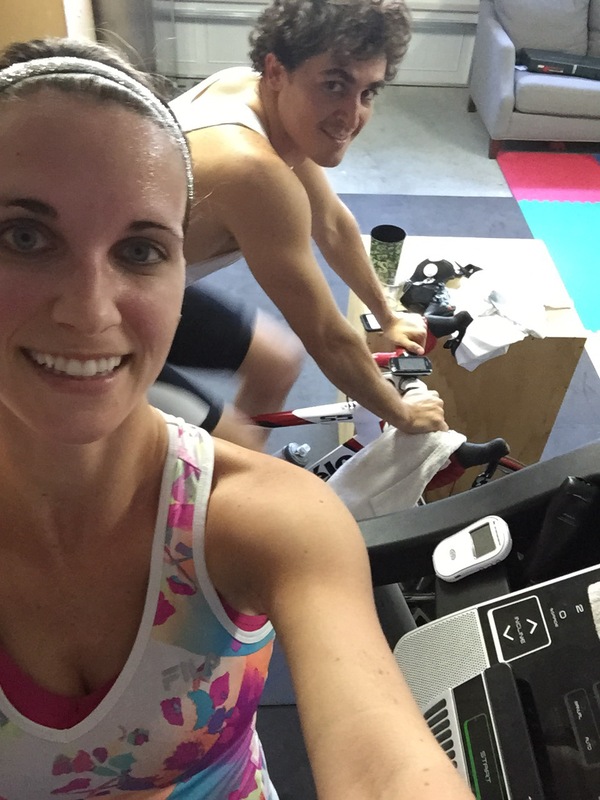 Colin did a good cycling workout and I did a 5 mile tempo run. 1 mile easy ~9:20, 3 miles @ 8:15, 1 mile easy. Followed that up with a good core workout and some stretching after Brett woke up. Wed 11/18: I tried for 3 days to get this run in but a sick then teething baby kept pushing it back. For the life of me I can’t remember the details of this run. Thanks to my pictures I know I did 5.25 miles averaging 8:30, but I’m drawing a blank on the details. Sleep deprivation will do that. Sun 11/22: I had a few very busy days getting ready for an expo with our business, so my runs/workouts fell behind this week. I did 5 miles of speed work. 1 mile WU ~9:20, then 6 half mile repeats with 90sec recovery in between, then cool down to round it off to 5 miles. I was doing my half miles at a 7:00-7:15 pace, and I’m pretty excited at how do-able that pace was for me. Since my race, all of my runs I have been averaging under 9 minute miles and that is very exciting for me. That race was such a confidence booster that mentally I feel ready to run faster paces, and obviously my body is agreeing! My goal every week is 3-4 runs plus 1-2 days of cross training with several core workouts. Here’s to making progress each week!! What does your ideal training/workout week include? You did great! I can’t imagine juggling all of the facets of your life. My ideal training week is just that: a training week. I love marathon training, I want to get back to it!